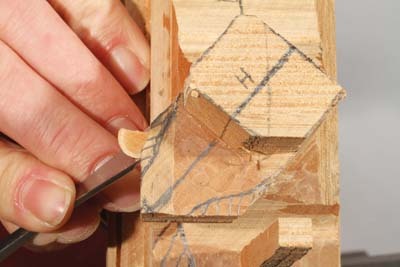 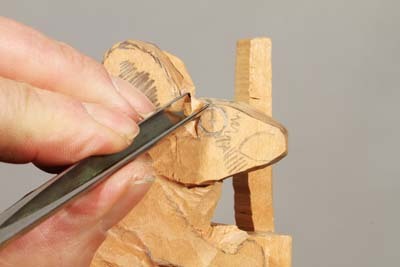 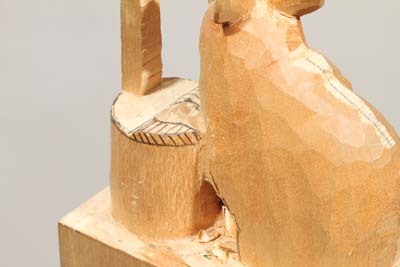 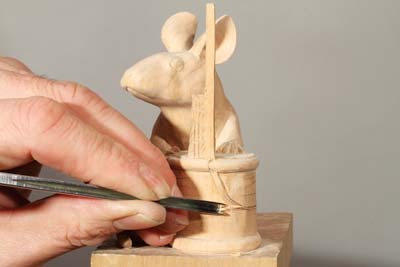 For my carving and teaching work, I rent a rather nice studio on a local farm. 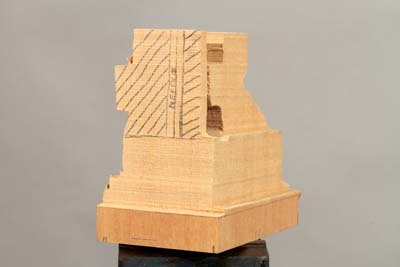 Outside my window is a field, which contains two large walnut trees that crop heavily each year. 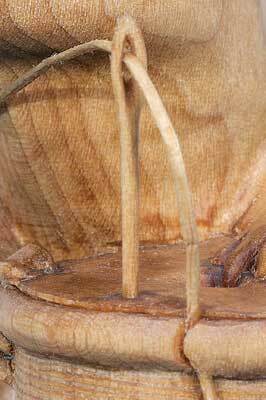 Every now and then I discover some of the nuts from these trees secreted about my workspace. 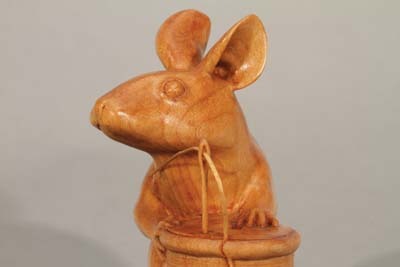 This, I discovered, is the work of my resident wood mouse, which is the subject of this issue's project. 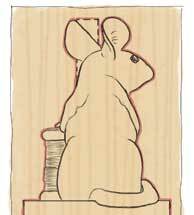 In the prone position and on all fours, the shape of the wood mouse is a little like a door wedge, and the head - being near the ground - is a little hard to see. 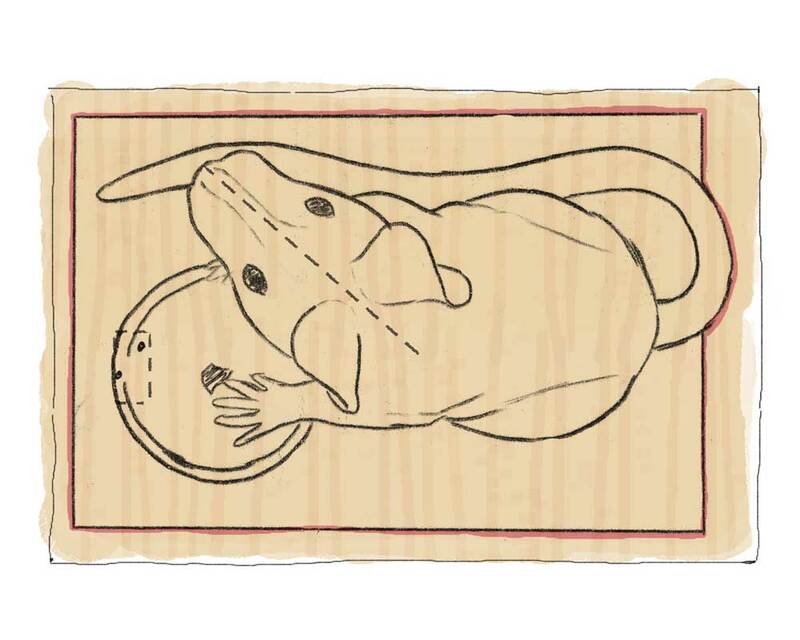 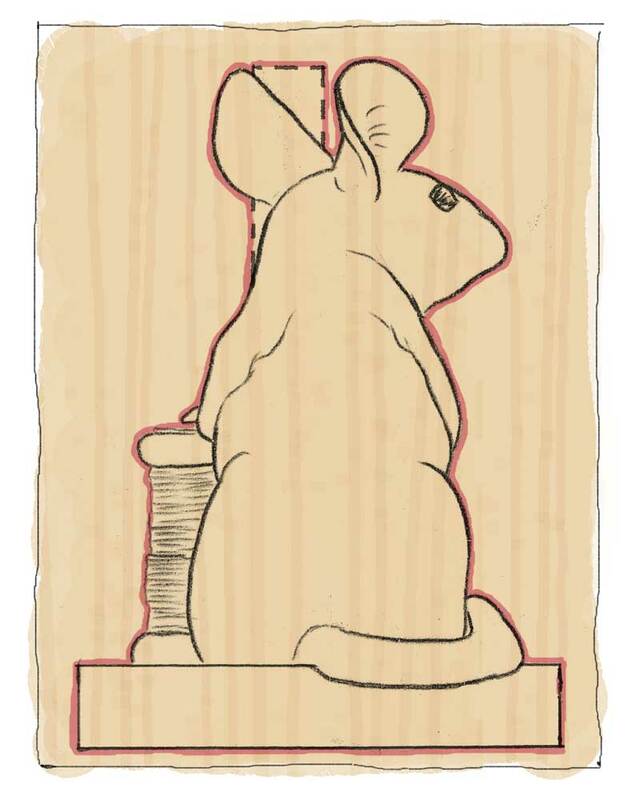 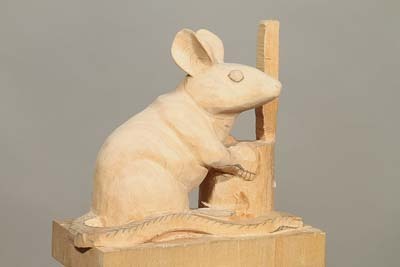 I decided therefore to design this particular wood mouse with its front feet resting on something that would raise the head and front quarters off the ground. 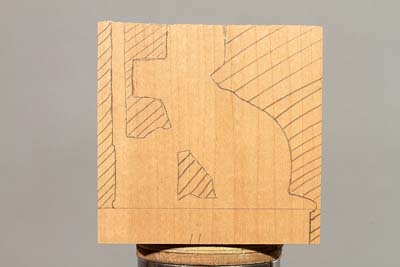 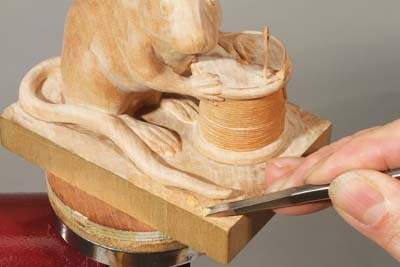 The idea of carving a cotton reel with threaded needle came to mind, and I just had to have a play with that concept to see how technically tricky it would be to carve this all from a single block. 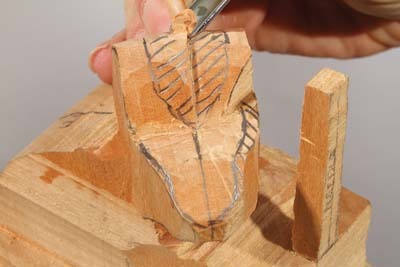 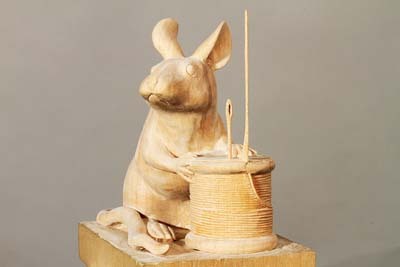 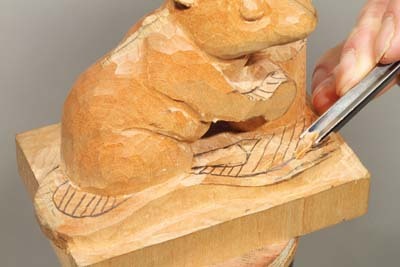 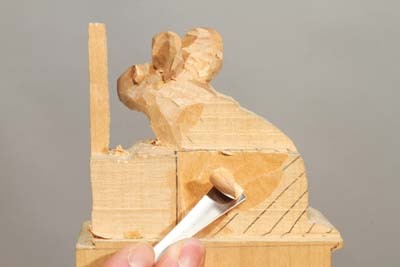 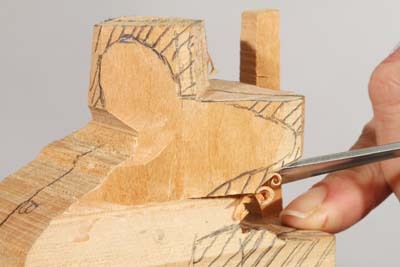 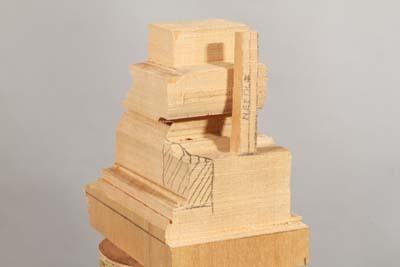 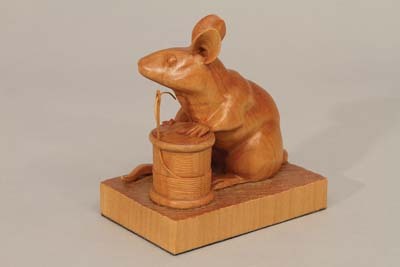 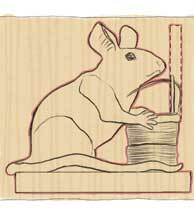 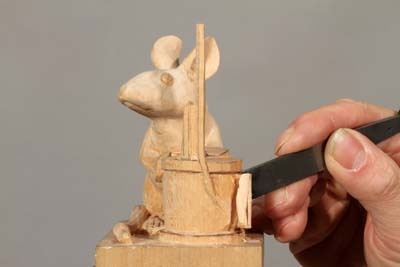 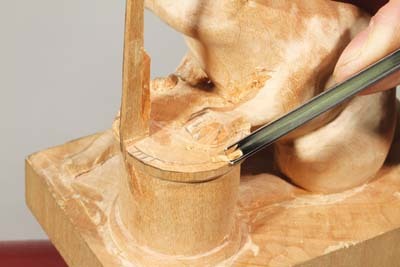 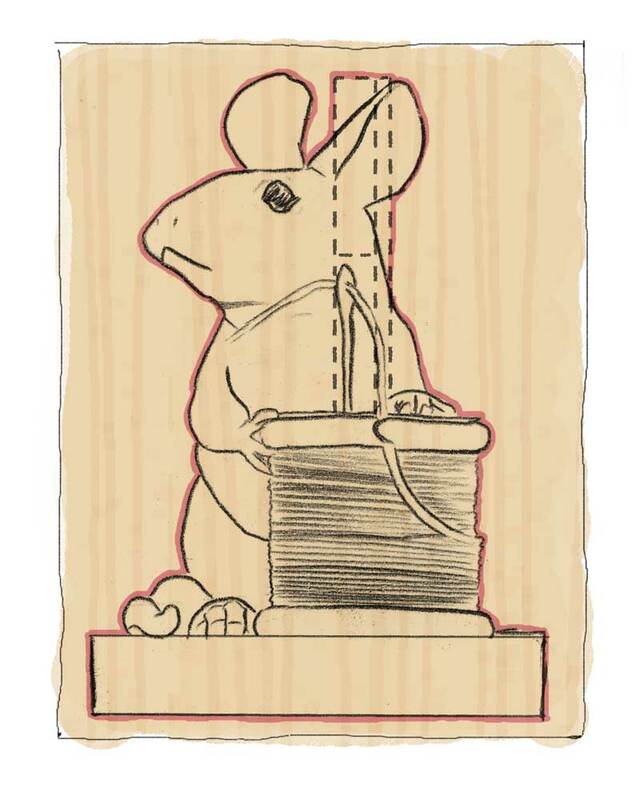 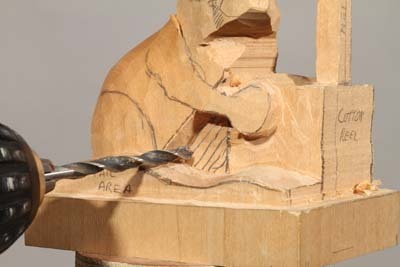 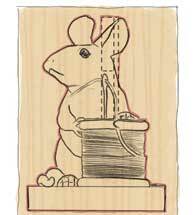 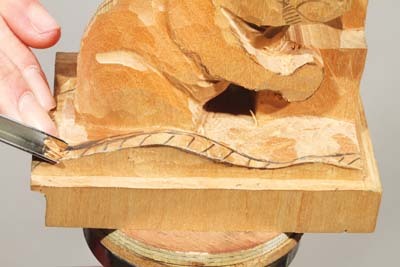 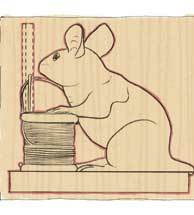 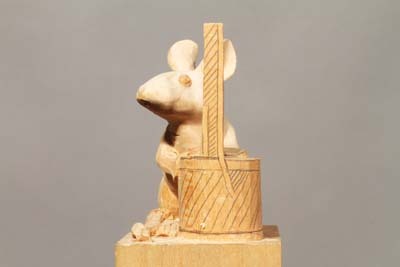 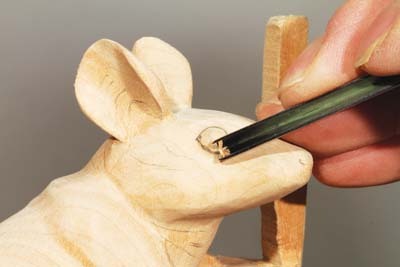 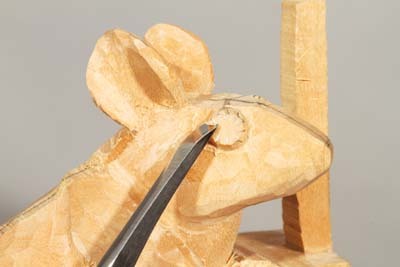 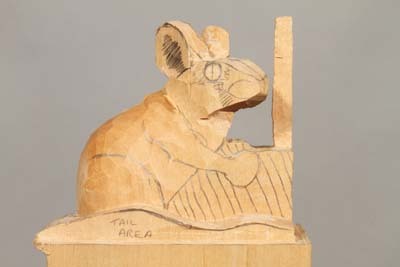 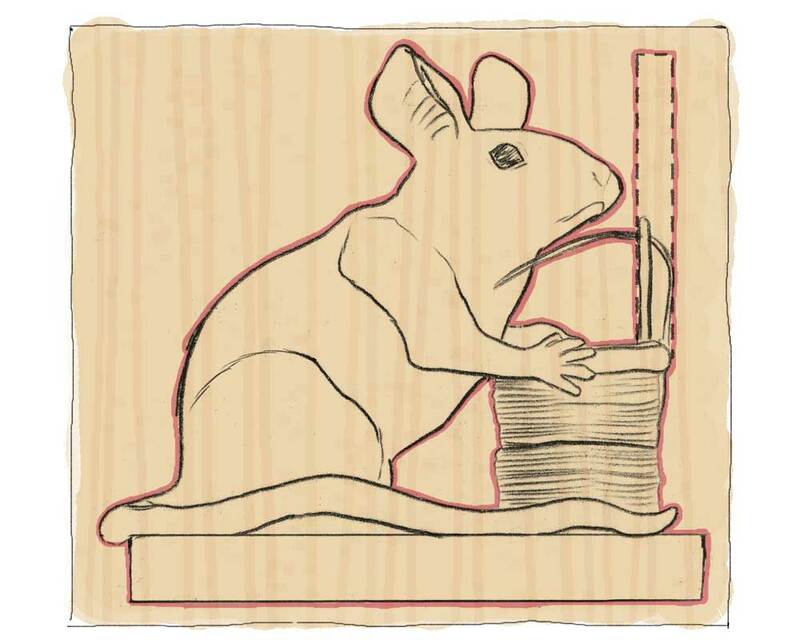 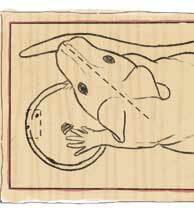 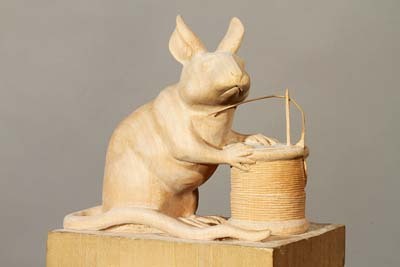 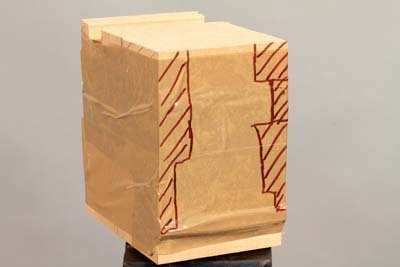 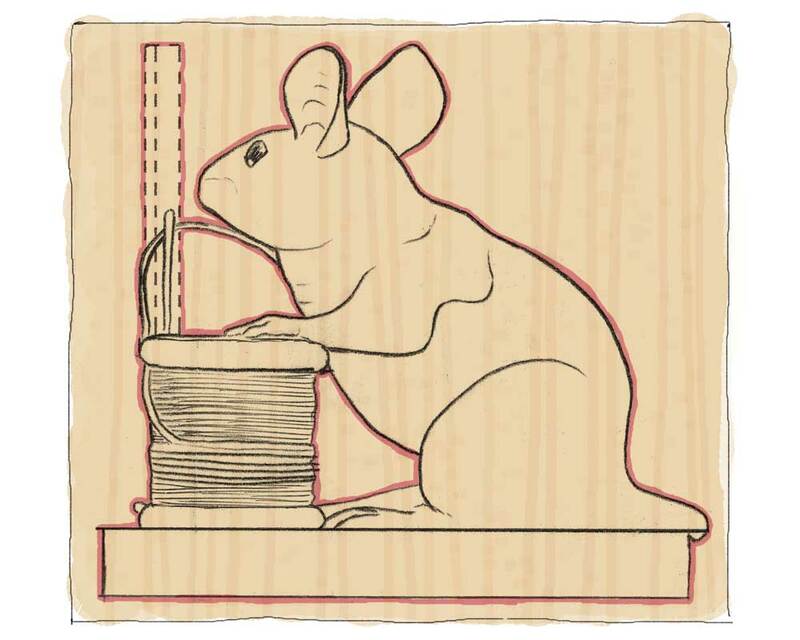 I prefer to carve from a single piece of wood, however, if you are going to give the wood mouse a go but would feel happier producing the needle and thread separately to add at the end, then please do so.